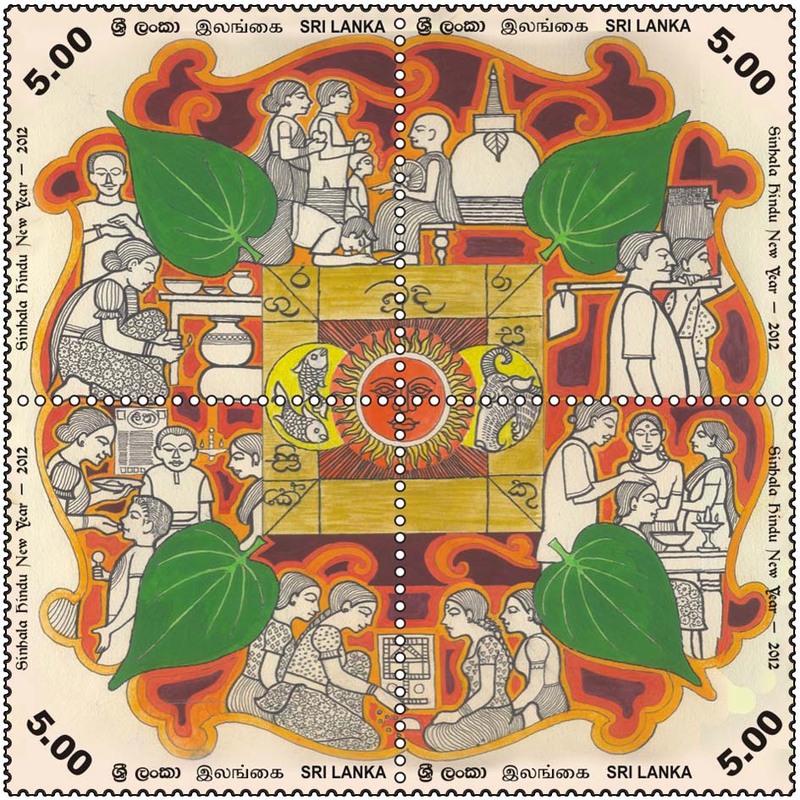 eD@HoMe: Sinhala New Year Cover From Sri Lanka! Just a quick post on this tiring wednesday night to thanks Gayanth Karunarathne for this nice cover posted from Sri Lanka! The beautiful block of stamps was released on 10 April 2012 to celebrate Sinhala, Hindu New Year. 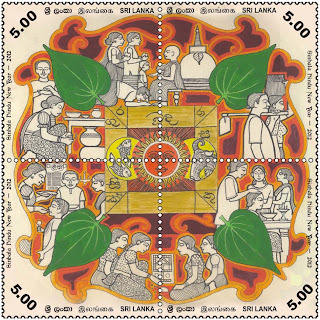 Generally known as Aluth Avurudda in Sri Lanka, it is a major anniversary celebrated by not only the Sinhalese people but by most Sri Lankans. 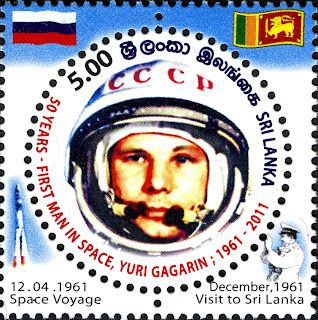 The round stamp was issued on 26 April 2011 to commemorate the 50th Anniversary of the First Man in Space. 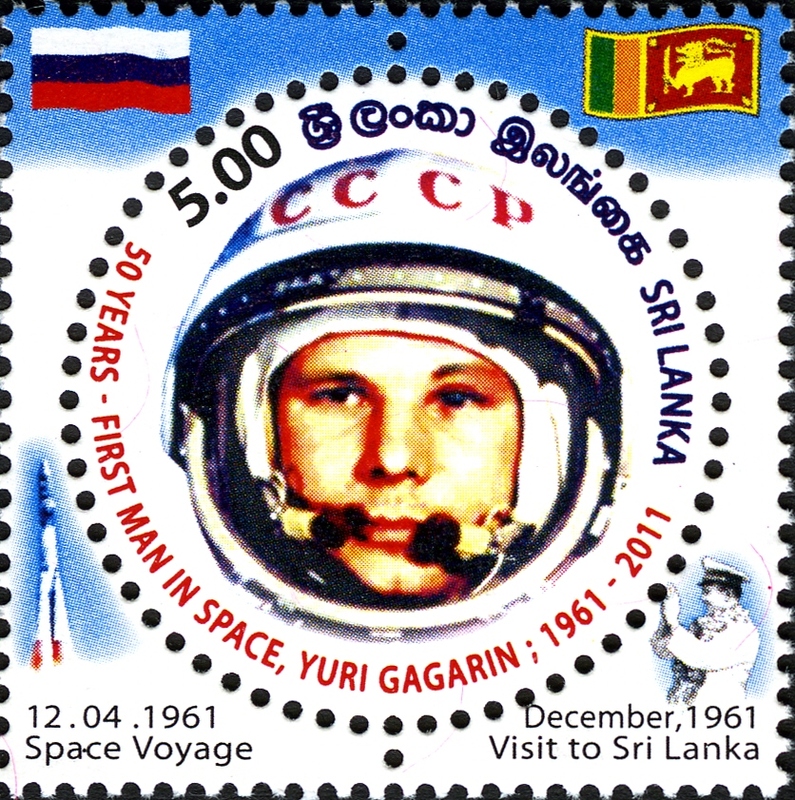 On 12 April 1961, Yuri Gagarin became the first human to travel into space, launched into orbit on the Vostok 3KA-3 spacecraft (Vostok 1). Gagarin orbited the Earth once in 108 minutes. It was the Soviet Union's own giant leap for mankind, one that would spur a humiliated America to race for the moon. 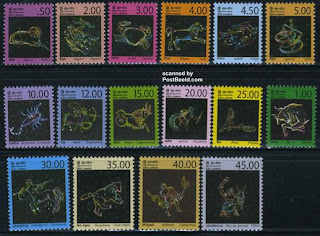 The two small stamps belong to the Zodiac Constellations series, issued in 2007.